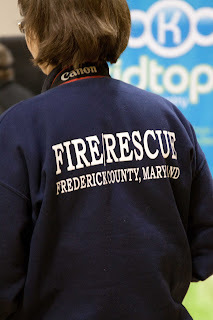 The 53rd Annual Frederick County Boy Scout First Aid Meet was held last night. 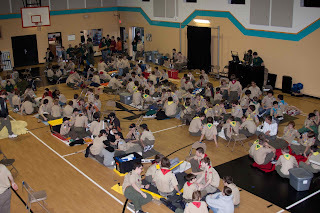 Over 150 Boy Scouts from the area participated in this event in which Scouts are tested on their knowledge and skills of basic and not so basic First Aid. 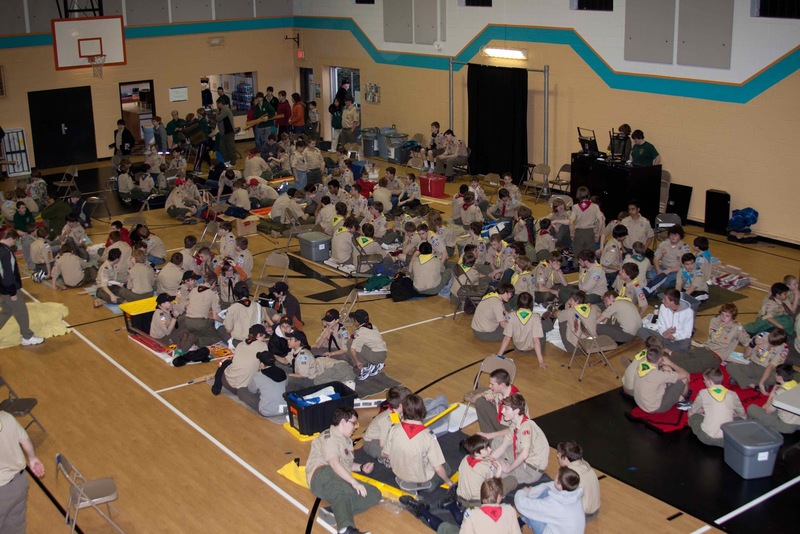 A large group of regional medical and emergency professionals volunteered their time to test and judge the Scouts' skills. The team of charity-minded volunteers included doctors, nurses, EMTs, military personnel and other highly trained individuals. This is a very worthwhile endeavor for so many people to commit their entire Saturday night to support the Scouts. 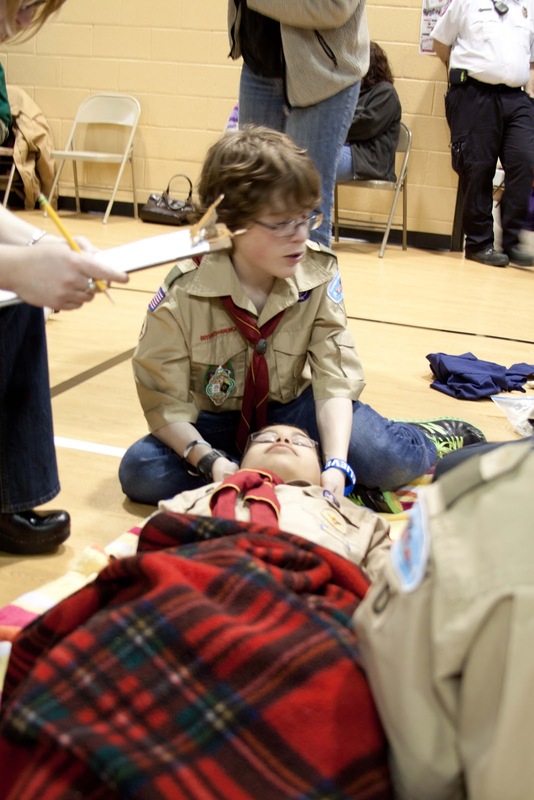 The Scouts, grouped in patrols of about five, were presented with various First Aid emergency scenarios and were tested on accuracy and depth of knowledge. Each patrol has a "victim" and the remaining Scouts in the patrol demonstrate the First Aid necessary to assist their victim. Thankfully this scene is staged but many of the situations that the Scouts were tested on could be very real: a victim trapped under a snow-ladened collapsed roof, an adult chaperone having a heart attack, a friend with a glass shard stuck in his hand. Any of those could happen any day of the week. Just hope if something like that happens to you that a Boy Scout is near by. Anyone will know to call 911, but a Boy Scout can usually do what is needed before emergency personnel can arrive. Thanks to Scout training and events like the First Meet, that Boy Scout will likely be your first responder. I am happy I have two first responders in my house. This is wonderful! 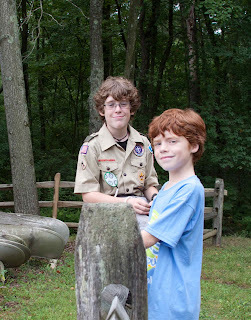 My son is a Cub Scout and I don't think we have had such an event. Those are some adorbale first responders you have the good fortune to live with.